The Be Modern Devonshire 34" electric fireplace suite consists of the Devonshire surround in a natural oak finish, anthracite painted 36" hearth and an integrated 2kW widescreen electric fire with chrome trim and 3 bar fret. 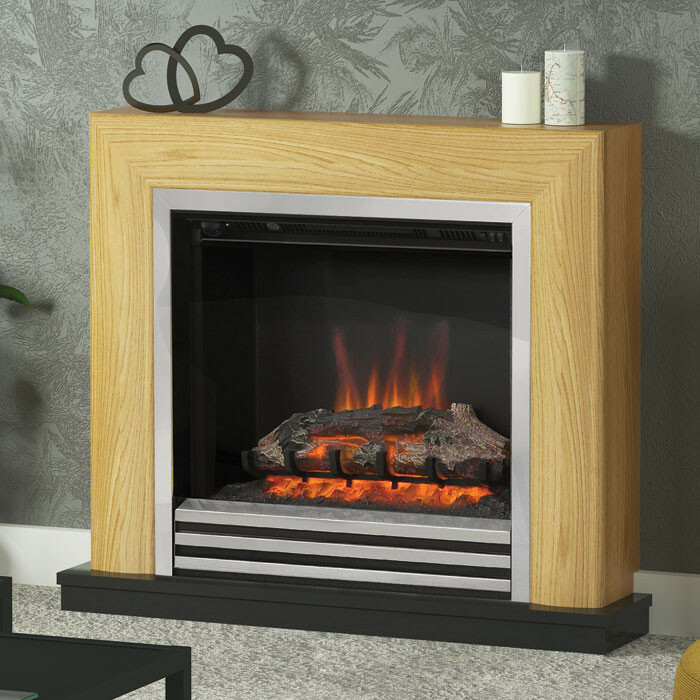 The Be Modern Devonshire has a rich natural oak colour with a contrasting anthracite hearth making it a handsome choice for your living room. 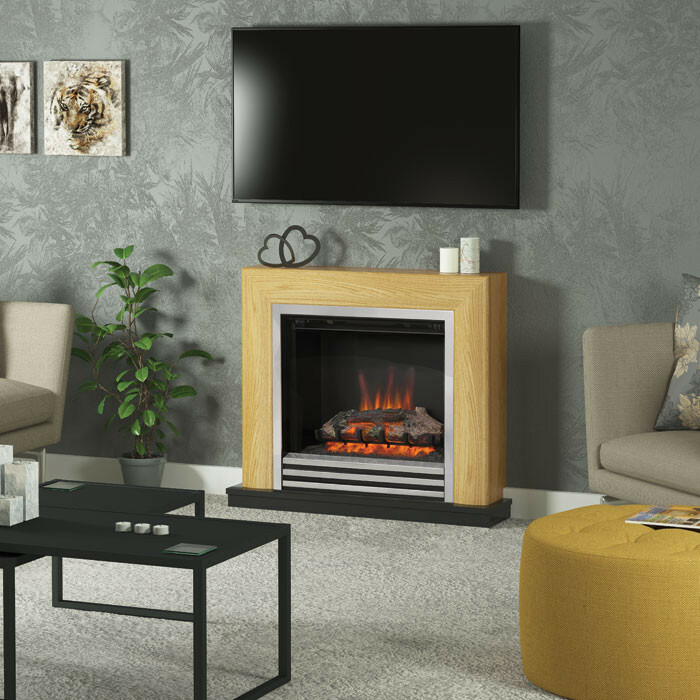 The Devonshire features a magnificent integrated 2kW widescreen electric fire with a realistic log effect that is sure to fill every corner of your room in a soothing ambient light. 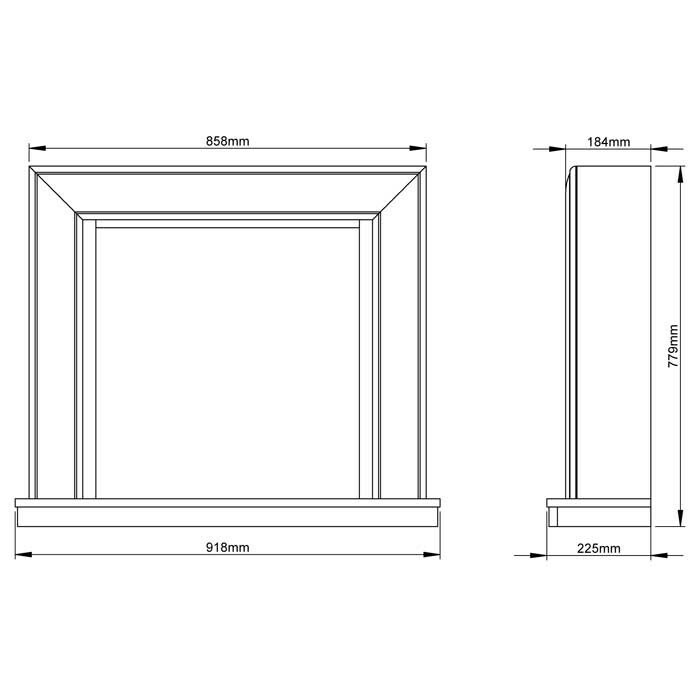 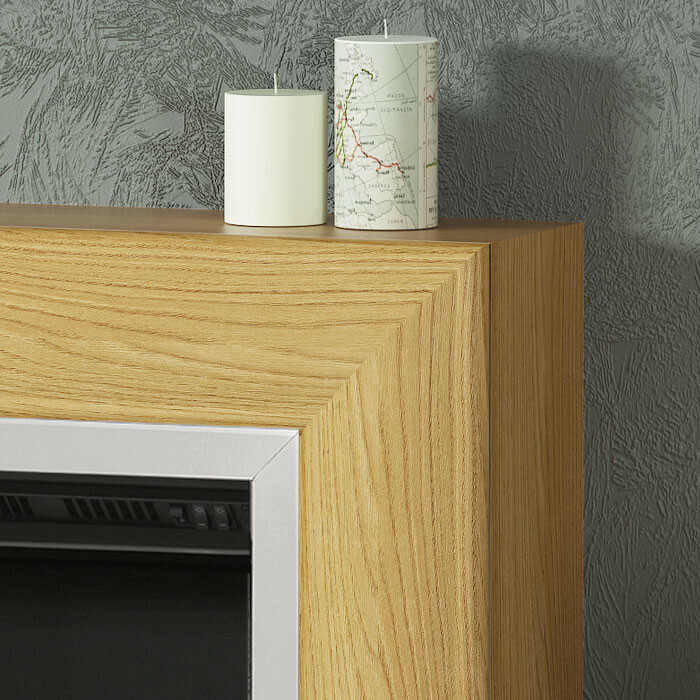 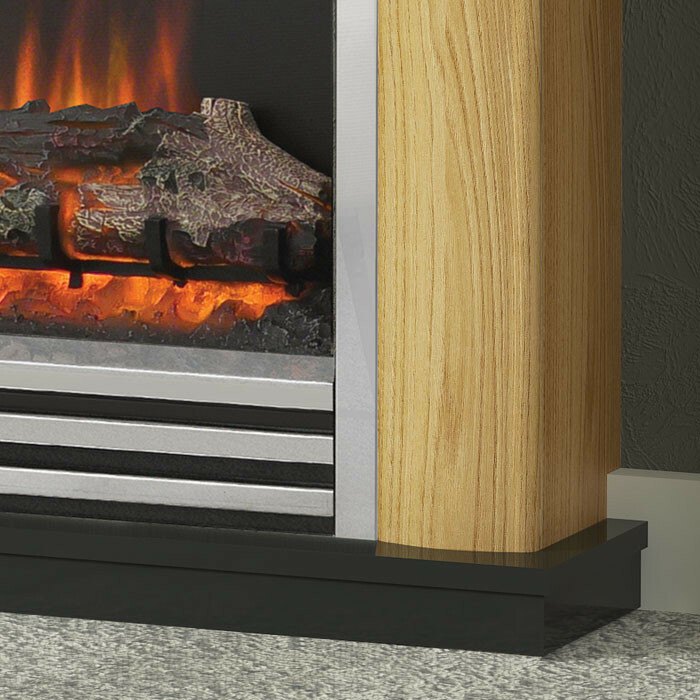 The Be Modern Devonshire fireplace doesn't require a chimney or recess in the wall, it simply fits to a flat wall and plugs into a domestic socket.